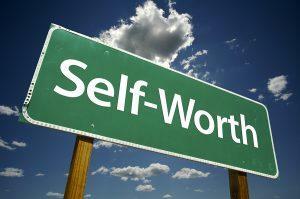 Our self-worth/value is greatly affected by whether we are anchored to a God-centered or self-centered viewpoint. We know that self-centeredness, which originates from our fallen nature, focuses everything on the self, thereby causing our self-worth to become diminished or bloated based on our performance. No doubt that we live in a culture where an individual’s value comes from an external and superficial perspective, rather than from something greater than the self. Often, we are swayed by other people’s opinions, or comparison to others, which, then, leads us to doubt or question our intrinsic value as God’s child. So we say to ourselves: “My friend landed a better job and makes more money than me. What I’m doing is nothing in comparison”; “My friend is skinny and really pretty. She’ll have no problem getting matched, but what about me?”; “my friends do and say things I don’t agree with. I feel they won’t like me if I disagree with them. I want to be accepted, that’s why I support them, but what if standing up for what I believe in means I’ll lose them as friends?” Given this situation we all face (some more than others), to develop and strengthen our original God-given value, we need to intentionally make the effort to change our perspective, that is to say, it won’t change unless we make that effort. Notice in this passage that this great song of Moses is completely God-centered, glorifying God from beginning to end. We may think that it took a great leader’s courage to lead approximately two million people out of the land of slavery and into the wilderness. Yet, there isn’t a word about Moses the entire song. The name of God is mentioned twenty-seven times (by my count! ), including pronouns referring to God. The song even moves from a celebration of God’s past deliverances to the future victories yet to come. This is the God-centered faith that we are called to live in! When the people stood at the edge of the Red Sea and Moses told them to go forward, they obeyed by faith. Moses said, “Stand firm and you will see the Lord’s deliverance,” and that is the challenge to faith today. F.B. Meyer puts it very well: Learn what God will do for his own. Dread not any result of implicit obedience to his command; fear not the angry waters which, in their proud insolence, forbid your progress; fear not the turbulent crowds of men who are perpetually compared to waters lifting up their voice and roaring with their waves. Fear none of these things. Above the voices of many waters, the might breakers of the sea, the Lord sits as king upon the flood; yea, the Lord sitteth as king forever…Dare to trust Him. Ask the Lord to show you how He sees you and what kind of value He has assigned to you. Can you think of an example where you connected to your unique value as God’s son/daughter? Surrender areas of your life where you have allowed society’s perspective to affect how you feel about the values and beliefs you cherish because they are rooted in God’s truth. Prayer: Lord, I always want to trust in You. Thank You for Your past deliverances as well as the ones that are yet to come. Help me to see things as You do. If more of You is less of me, then take everything from me! Amen. Psalm 1 is a contrast between two ways in life: the self-directed vs. the God-directed life. What are the benefits of the one who strives to make the Word of God (God-centeredness) the focus, rather than external accomplishments and opinions? It bears repeating what was asked in the morning devotion: Ask the Lord to show you how He sees you and what kind of value He has assigned to you. Can you think of an example where you connected to your unique value as God’s son/daughter? I invite you to think of a situation where you feel conflicted about seeing this situation from God’s viewpoint or a self-centered viewpoint. Make a commitment to ask a close friend what he or she thinks is God’s perspective on this situation; also ask how he or she feels about the perspective you’re taking. How would that impact your proactive approach to the situation?